Verona has announced that members of its management team have acquired a 30 per cent stake in the business, following a period of sustained growth for the company. Recently hailed as one of the Top 30 fastest growing companies in Yorkshire, leading tile and stone distributor, Verona, has agreed a deal that will see founder and managing director Adrian Hinchliffe retain a 36 per cent share of the business, with Travis Perkins plc now holding 34 per cent. Sales and commercial director Paul Turner, finance director Tom Hewitt, marketing director Katy Harris and commercial manager Brad Saunders have bought a 30 per cent stake between them. Adrian will still operate his role as managing director. The announcement comes at a key time for the ambitious distributor, which has enjoyed a four year period of rapid growth. 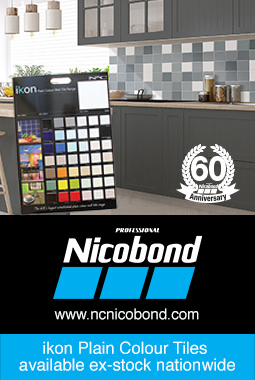 Through a series of new account partnerships with national and independent tile retailers the business has increased its turnover to over £25m. Recent developments have seen Verona outgrow its warehouse facility, with a new 50,000sq ft site opened to accommodate the company’s growing logistics operation. The business has also strengthened its commercial and marketing teams as well as its logistics and operations department as it transforms its business model to meet demand from new and existing customers.